Dr. Henrik Jäger was born in Hameln/Weser and is operating in the area round Trier and Cologne today. From 1981 to 1984, he completed a professional training in I Ching Counselling with Hildegard Laudi at the Dürckheim Centre in Rütte (Grafschaft Dürckheim). Subsequently, he studied sinology, japanology and philosophy in Freiburg, Würzburg und Munich. In 1997 Henrik Jäger was awarded a doctorate of sinology for his work on the Daodejing Commentary by Chan Master Hanshan Deqing, mentored by Prof. Dr. Wolfgang Bauer (LMU München). He then worked as a research associate at different universities. In 1989, Henrik began to train Yang-Style Taijiquan after Prof. Cheng Manqing in Freiburg and Taipeh. From 2003 to 2005 he completed a Qigong formation after Prof. Jiao Guorui with Jürgen Lehmann, Thomm. Since 2004 Henrik has been working as a freelance writer, lecturer and counsellor. He was advisor for sinological questions for Bettina Wilhelm’s film „Wandlungen – Richard Wilhelm und das I Ging“ (Changes – Richard Wilhelm and the I Ching), a film about the life and work of the sinologist Richard Wilhelm. 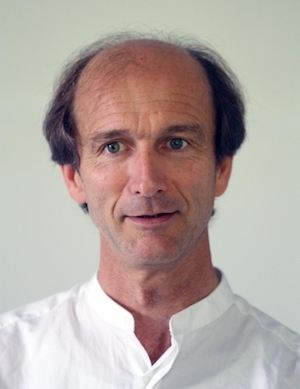 Since 2004 Henrik is also a seminar director and I Ching counsellor for the publishing company Ammann (Zürich). Henrik Jäger (co)authored various books. Alongside his scientific publications, he has been working on the reading book project since 1999. Its aim is to make classical Chinese texts accesssible to German readers. Henrik complements his expert translations by explanations of the Chinese characters, background information and commentaries. The books published so far: “Mit den passenden Schuhen vergißt man die Füße: ein Zhuangzi-Lesebuch” [In the right shoes one will forget one’s feet: a Zhuangzi reader] (2009, paperback 2012) and “Den Menschen gerecht: ein Menzius-Lesebuch” [Righteous towards men: a Menzius reader] (2010). Henrik’s working languages are German, English, Russian and French. The “Classic of Changes” contains over 3000 years of experience with a good “care for life”. To consult the I Ging can help you to discover unforeseen resources and new perspectives in an ever-changing world. It is advisable to attend all three workshop units as they build upon one another. Due to limited available seats, please indicate your interest for this workshop on the registration form. 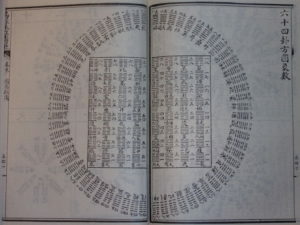 Please bring along a copy of the I Ching (Book of Changes). Henrik recommends the Richard Wilhelm translation. On our German sister site you’ll find articles written by Henrik.